USCOM’s unique, non-invasive method of cardiac monitoring provides an accurate, safe and efficient way of measuring how well the heart is functioning. Clinicians can quickly and accurately assess, monitor and manage any patient’s hemodynamic state – infant, child, adult – without sedation or risk of infection. USCOM uses state-of-the-art electronics, ultrasonics and signal processing to accurately measure cardiac flow. 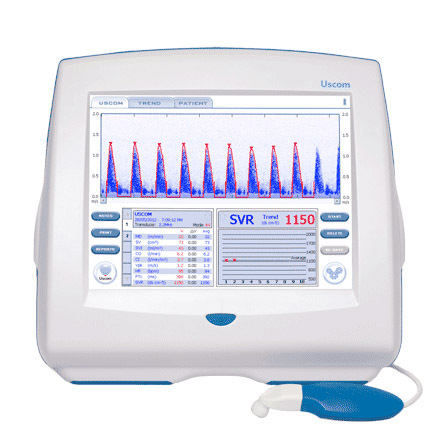 The continuous wave (CW) Doppler-based technique permits real-time, beat-to-beat, serial measurement of numerous hemodynamic parameters.